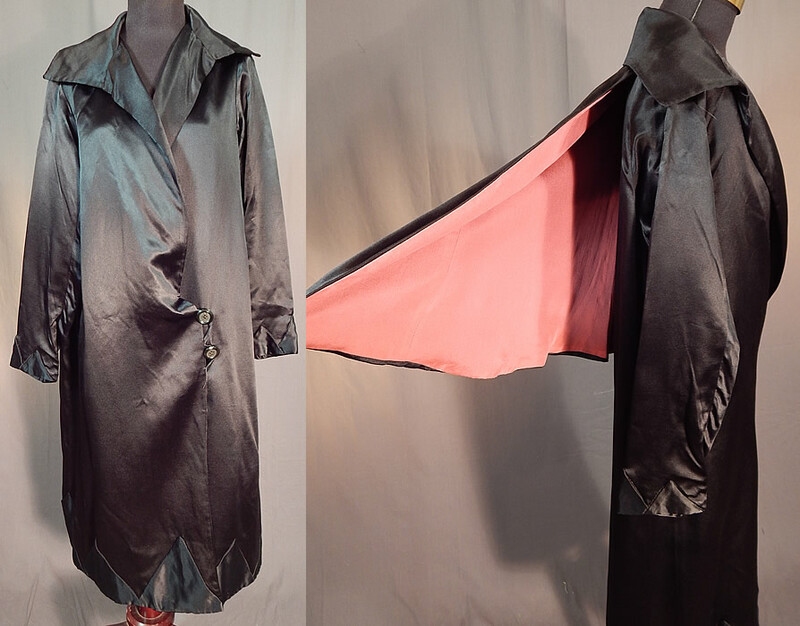 This vintage Art Deco black silk pink lined detachable cape opera coat evening jacket dates from the 1920s. 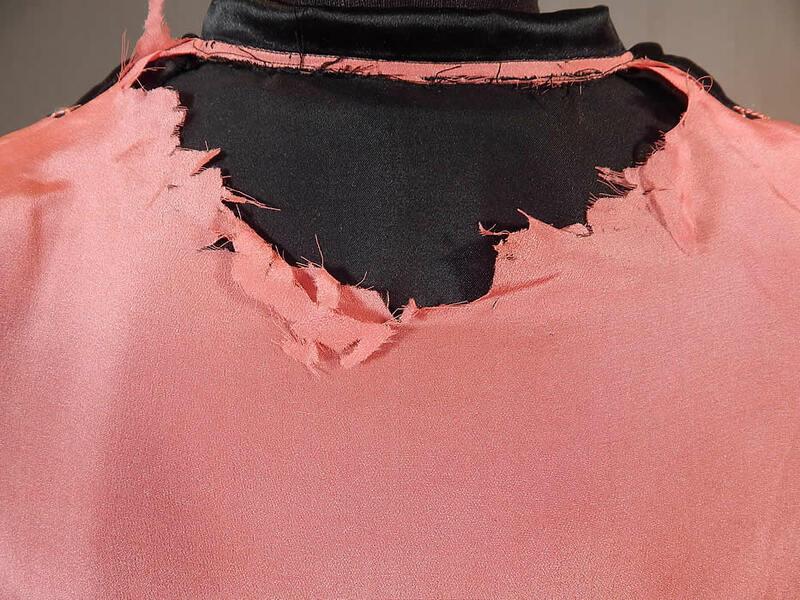 It is made of a black silk fabric, with triangle shaped cut out appliqué trim edging the cuffs, bottom skirt hem and a pink silk lined cape back. 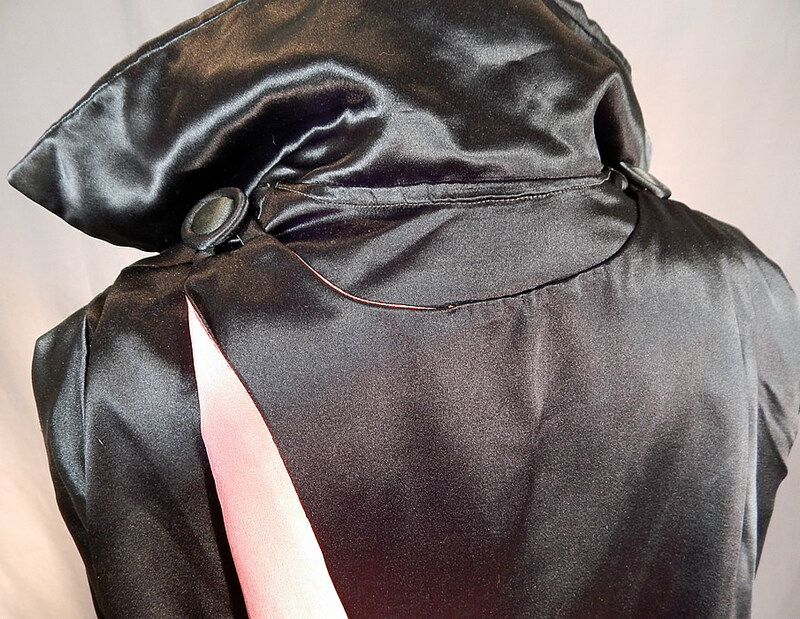 This unique opera coat evening jacket has a detachable short cape capelet back with buttons on the shoulders, is a long length with a loose fitting wrap style, a fold over wide lapel collar, long full sleeves, button closures on the front side hip and is fully lined in a pink silk fabric. 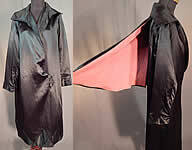 The coat measures 41 inches long, with a 36 inch waist, 40 inch bust, 20 inch long sleeves and a 20 inch long back cape. 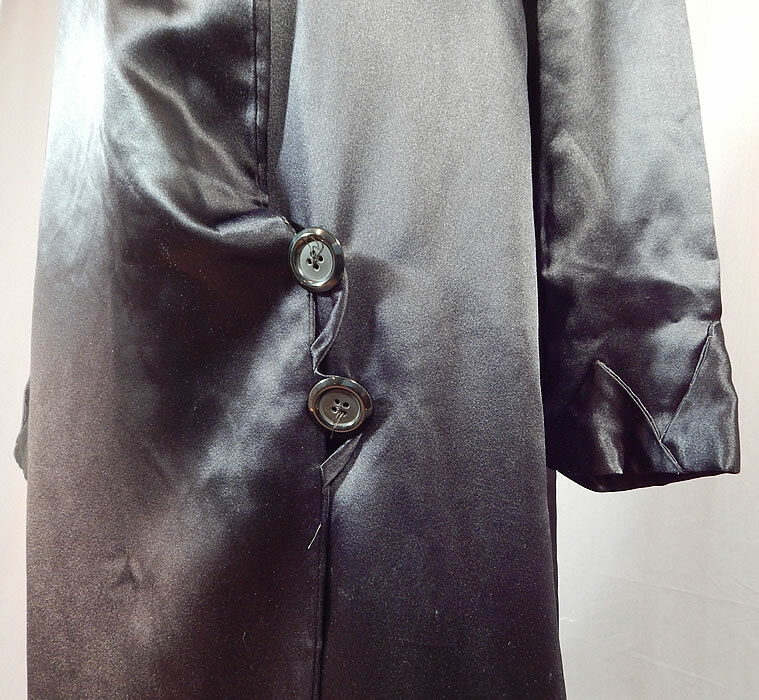 It is in good condition, with only some frayed splits on the inside silk lining arm holes and along the back neck (see close-up). 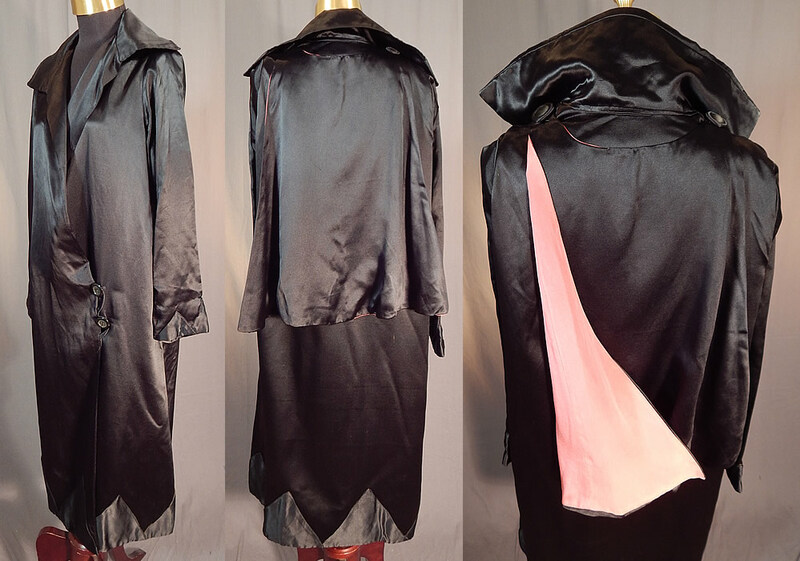 This is truly a wonderful piece of Art Deco textile art!